(AFP) - France is speeding up preparations for a "no deal" Brexit after the British parliament overwhelmingly rejected a divorce agreement negotiated with the EU, the government said Wednesday. Prime Minister Edouard Philippe will meet with key ministers Thursday to look at a "possible acceleration so that state services are ready in the event of Britain leaving the European Union without a deal", government spokesman Benjamin Griveaux said. Ministers had already scheduled a meeting to decide on France's response to the British parliamentary vote. 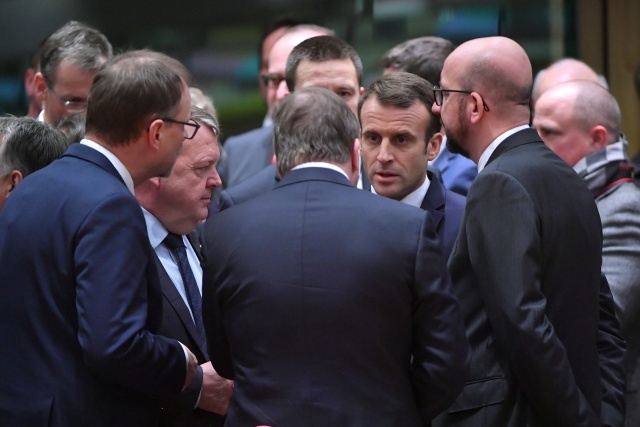 "The scenario we don't want is a no deal and the risks multiplied yesterday," a source in President Emmanuel Macron's office said. France's Europe Minister Nathalie Loiseau said Wednesday that the EU could extend the deadline for Brexit beyond March 29 if Britain requested it. But she stressed that other EU nations considered the deal already on the table to be "the only one possible". French employers' group MEDEF called on businesses to prepare for "the worst". "This vote is harmful to the long-standing and fruitful trading relationship between our two countries," FEVS president Antoine Leccia said. Macron held up Brexit as a cautionary tale for "yellow vest" demonstrators in France who have been demanding citizen-sponsored referendums on proposals that prove popular with the public. "When there are difficult decisions to be made it's usually elected officials that take them because of the constraints involved. The hard decisions are rarely taken by referendum," he argued during a meeting with mayors in Normandy on Tuesday. "Look at what our British friends are going through," he said, adding that Brexit "speaks volumes... about what these referendums, which appear to be good ideas, can result in."